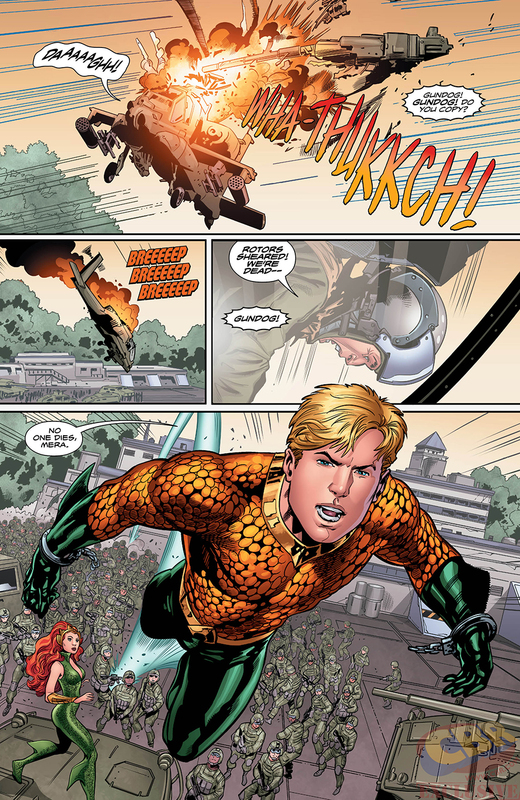 "The Drowning" part five. 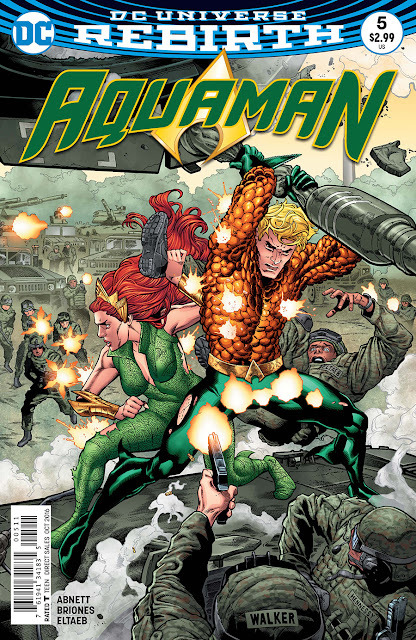 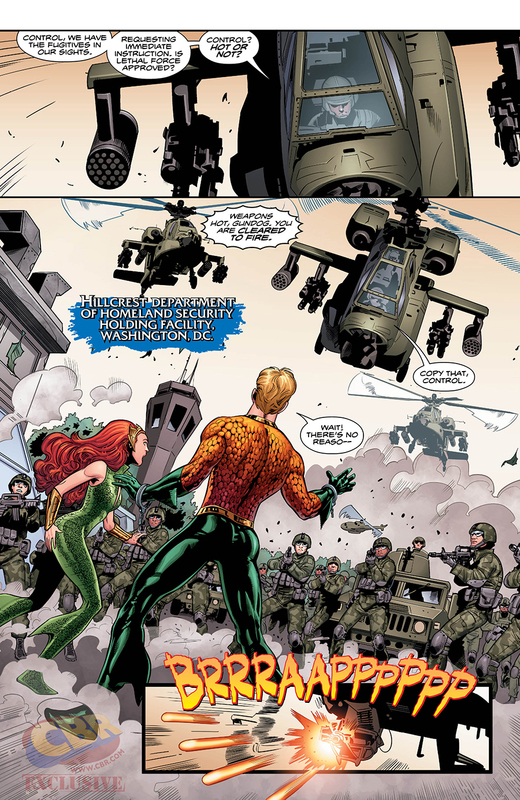 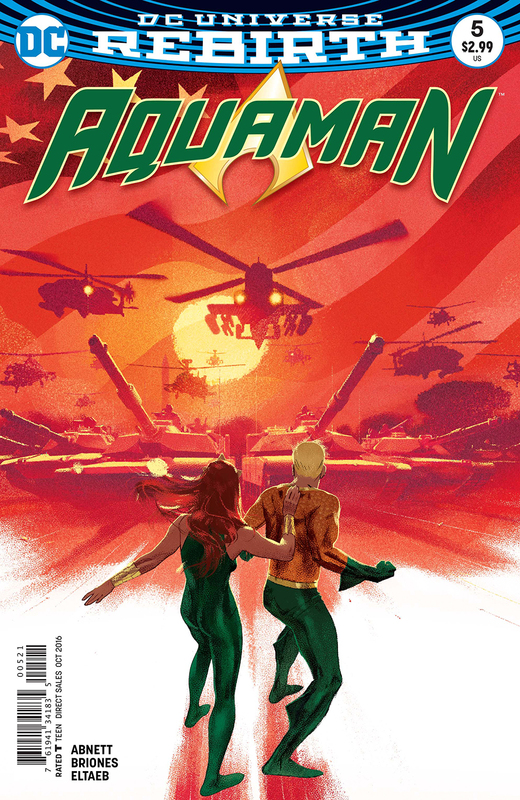 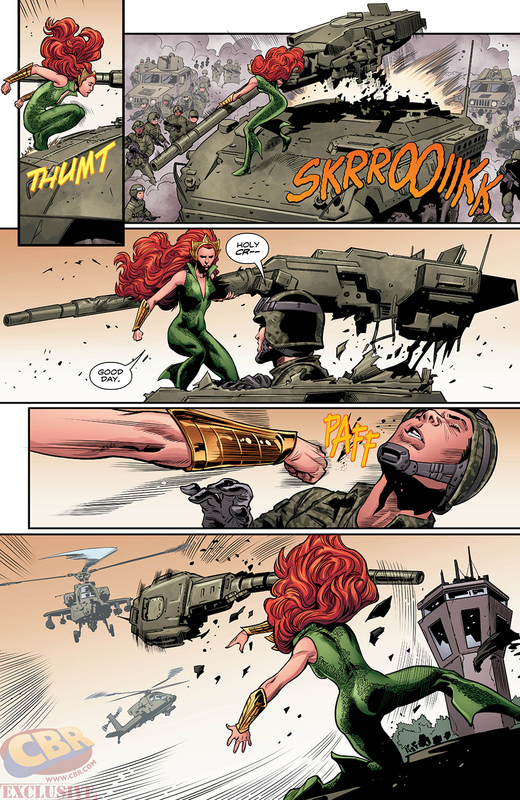 Unjustly branded a murderer and a fugitive, Aquaman's forced to defend himself against the might of America's military. 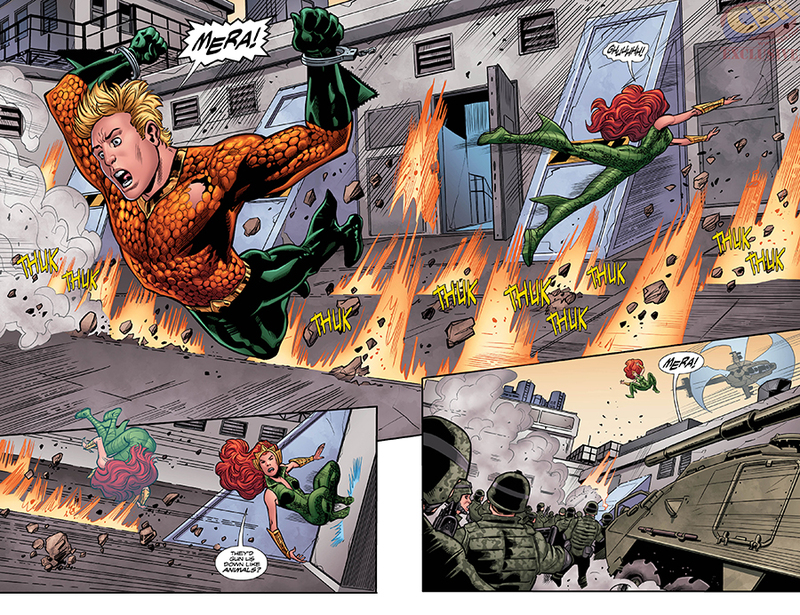 Meanwhile, Black Manta and the deadly underwater crime cabal known as N.E.M.O. advance their plan for revenge on Aquaman.